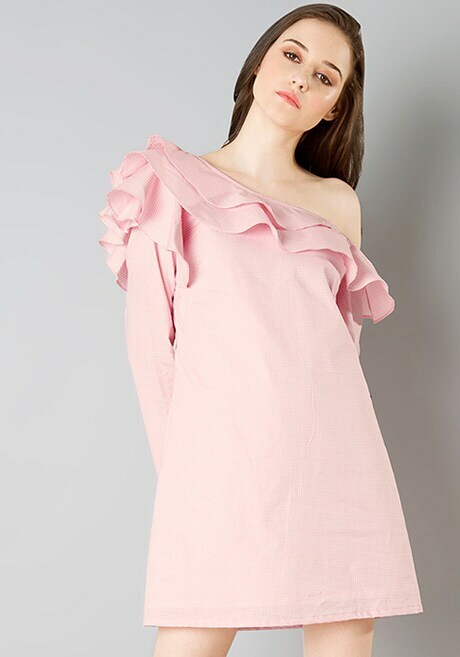 This chic one shoulder dress will be a timeless addition to your wardrobe as in addition to the ruffles, it has an all-over gingham print in pink hue. 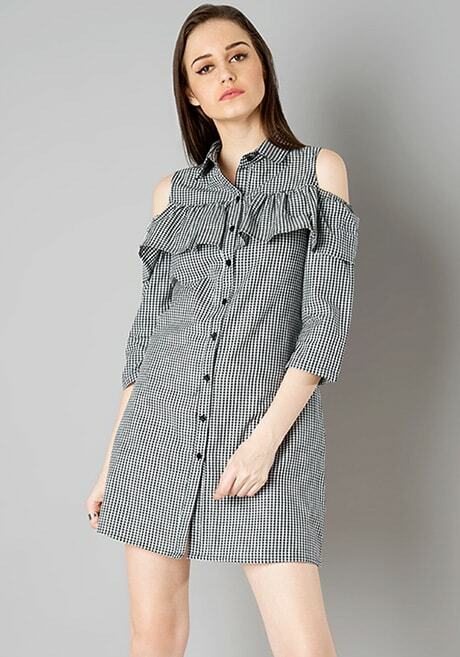 Pair this dress with white sneakers and you are ready for your Sunday brunch. For the girl who loves a twist on the classics! This uber chic black crepe shirt with window pane print is perfect for your office attire. Bare your shoulders to the sun in this cold shoulder shirt. 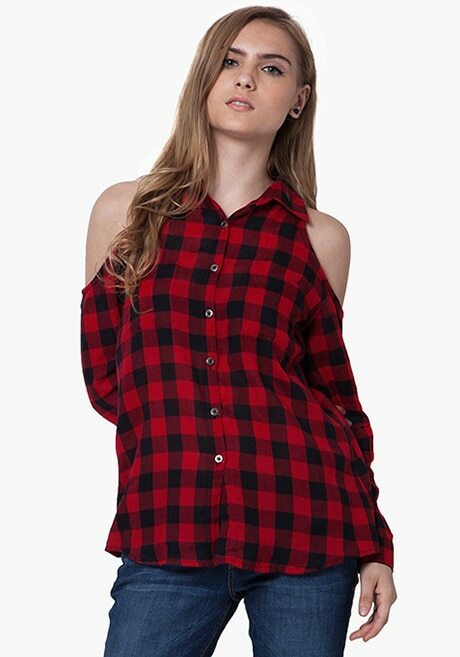 For your next shopping spree, pair this tartan printed shirt with jeans and sneakers. Stand out from the crowd and give them the cold shoulder wearing this black gingham dress. This dress is perfect for going from desk to drinks.